People often get confused about the probing process in prospecting for new business. There are rules…although to my knowledge. 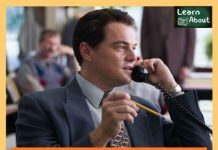 If you are speaking with someone about your business, there are certainly a number of appropriate business questions to ask them during the process to help you determine whether or not they are right for the business, whether they are capable of doing the business, and whether or not they are ready to do the business. When I begin my interview process with someone, here are the basic questions that I ask. Please note: I don’t always ask all of them. One of the important skills to acquire in this business is judgment. Learning when to segue from asking questions to presenting information is critical. Are you currently self-employed or have you been in the past? What do you do for a living currently? Are you primarily looking to supplement your income or are you looking for something more substantial? How much time do you have to devote to a business of your own on a weekly basis? What type of income are you looking to generate? What type of income are you accustomed to earning? How soon do you see yourself getting started? Are you in the position to invest (fill in the blanks) to get started in a business? What kind of value do you feel you could bring this team? Other than money, what are you looking for? 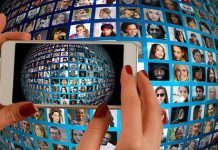 WHY are you looking to get involved in a home-based business? I tend to shy away from questions that get into information that is irrelevant to the initial interview. Some of them may be appropriate, others may not. Use your better judgment. It is important for you to understand that while you are in the process of establishing rapport with your prospect, you ask the easy business questions first. Asking them how much they make in the first few seconds is a no, no. Just think of it like dating. If you were on a date with someone you may want to see again, you NEVER ask the hard business questions up front. Pace yourself. Ease into the process. It becomes much easier to get answers from people once you have established a bit of rapport in the conversation. Why Do We Ask Certain Business Questions? It should be fairly obvious. We ask business questions that are appropriate to the subject at hand. I never ask people questions that are totally irrelevant. Stay on target. You are introducing a financial opportunity to them. We ask business questions about job and career, free time, likes and dislikes, etc. for a reason. The reason is simple. It is to find out more about who this person is, what they may be dissatisfied with and how our opportunity may fill a need in their life. Here are a couple of simple rules for asking questions. Try to stay away from answering questions where they can answer with a ‘no’. This isn’t always possible. However, the more questions you ask that give a positive response, the better off you are. This sounds good, doesn’t it? If you could make more money…you would want to start now, wouldn’t you? …and so on can be very powerful! Well Tom…would you be available in the morning or afternoon on Tuesday? 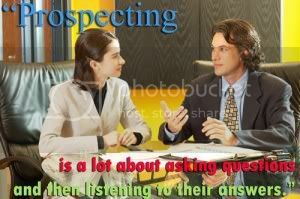 Remember…prospecting is a lot about asking and then LISTENING to their answers. Be interested, not interesting. The more interested you are in them, the more interesting you become!